We have over 15 years of experience of providing hospitality and catering staff to establishments throughout the East Midlands. Whether you are an hotelier, restaurateur, provide on-site catering facilities or are an outside catering events business we can provide the high quality of personnel and service that will help you achieve your business goals. What do you do when you have a member of staff leave at short notice? Or take unplanned leave? When you have a busy period and need extra staff to ensure that your service doesn’t suffer? How many times have you placed an expensive advert in the local press and lost valuable time sifting through CV’s, taking applicants calls, interviewing candidate after candidate only to find that none of the applicants are suitable and you have to advertise again. 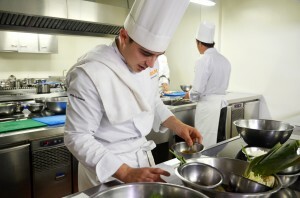 Our Catering division is staffed by Catering & Hospitality experienced consultants who can fully appreciate your needs. Let our experience work for you. We can offer a fast, discreet and cost effective solution to your temporary and permanent recruitment requirements. We will afford you the support that you need relieving you of the burden on your time and allowing you to concentrate on your guests and business. If we provide a temporary worker we will back our selection with a quality guarantee. If you need us to find you a permanent member of staff we will only charge once the ideal candidate has been chosen. Our selection will have no cost implication to your business. Call us to discuss how we can be of benefit to your business.